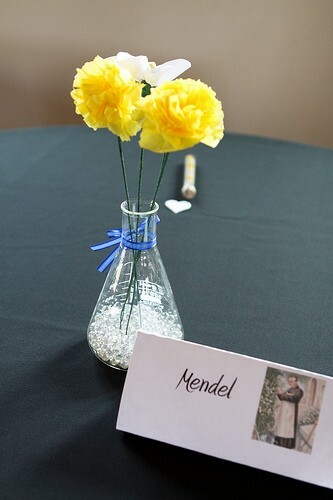 Oh wow, I love that last picture of the Erlen Meyer with the little mendel tag :) I think your centerpieces will look great, and I am happy you are enjoying the whole DIY experience. It does go on after the wedding, I find myself wanting to organize get togethers so I can use decoration tips here and there. I am not so crafty, and the thought of making the pom poms and decorating the jars would make *me* crazy, but on the other hand it is therapy in a way... to keep yourself busy when about to have a nervous breakdown or in stressful situations works miraculously. Are you sure sure sure you do not want natural flowers though? It would be easy to just buy whatever is available at the market the day before and just put some stems together a bit wildly and at random in your mason jars. 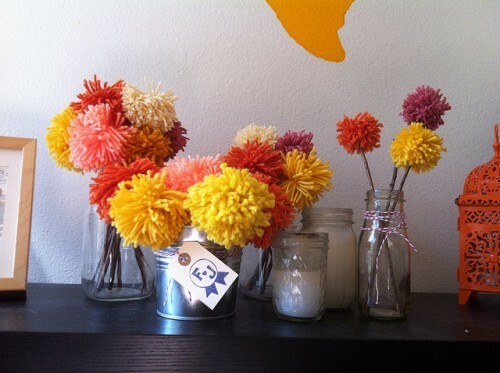 Says a girl who has come to love fresh flowers very much, they just CHANGE a whole room. I love natural flowers, but honestly my sanity is a bit more important to me at this point. Plus, I know I'm a bit of a control freak so throwing stems together randomly would drive me crazy! 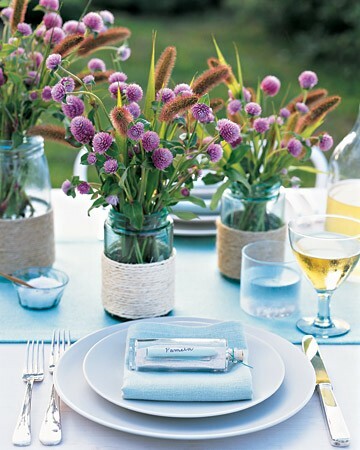 :) And to be honest, the non-floral centerpieces are saving us some money, so there is that. The bouquets will still be made with natural flowers though. And I have a tentative plan to stick my bouquet into a mason jar after the ceremony, so it will double as floral decor for the reception! Of course your sanity goes first, and extra points for saving $$$ . I am sure it will all turn out great ! Thanks for the suggestion, Sarah. I am actually specifically going for the low profile centerpiece look, but I'm sure these flowers would look great in a tall vase as well.